"User browses to the compromised web server. The iframe tag triggers the browser to perform a request to another URL which is the Neutrino Exploit Kit landing page. The landing page is hosted in a randomly generated host using DGA which needs to be resolved via DNS. The authoritative domain to answer these domains are owned by the threat actor. The answers received by the DNS server have a time to live (TTL) of a few seconds. The domains are registered on freely available country code top level domains (ccTLD). The victim then lands in the exploit kit landing page which by its turn delivers a small HTML page with an object tag defined in its body. This object tag directs the browser to load Adobe Flash Player and then use it to play the SWF file specified in the URL. In case the victim does not have Adobe Flash player installed, the browser is instructed to download it. The browser as instructed by the object tag, downloads the malicious Flash file. The obfuscated and encrypted SWF file is played by the Flash Player and exploits are triggered based on available vulnerabilities. The Flash file contains exploits for CVE-2013-2551, CVE-2014-6332, CVE-2015-2419 affecting Internet Explorer and CVE-2014-0569, CVE-2015-7645 affecting Adobe Flash. If the exploitation is successful, shellcode is executed and the malware is downloaded and launched. In this case we observed that the malware delivered has been CryptoWall. 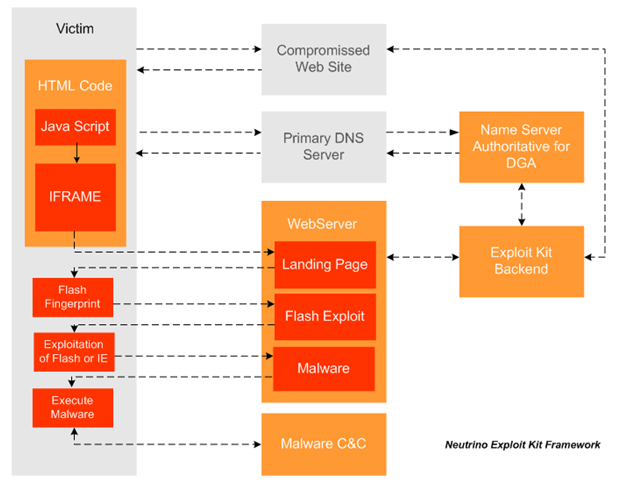 The threat actors behind Neutrino are finding vulnerable websites in order to host their malicious JS content globally in a repeatable and automated fashion. 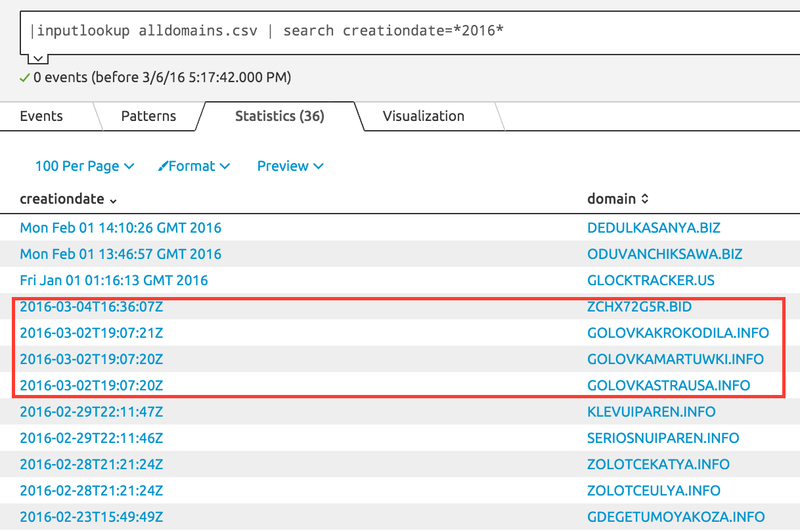 Furthermore, In the last few days Neutrino has been abusing the registration of free domains registered inside the country code top level domains (ccTLD) such as .top, .pw, .xyz, .ml, .space and others. The different landing pages have been pointing to a server hosted in Germany and in another cases in Netherlands. In another blog post I will go into more details about it." The detection of EK is a challenge by nature. For example, a few days ago, in Talos' blog, they explained the set of changes they have detected in latest version of Angler EK, affecting the URI used by the landing page. Luis Rocha mentioned in his blog that the landing page is hosted in randomly generated host using DGA. This domains are registered on freely available country top level domains (ccTLD). Basically, the lifecycle of domains used for malicious purposes is usually quite short. The domain is registered to be used during a short timeframe for a specific campaign, until the domain is detected as malicious and it is cancelled and/or included in a blacklist. Then, another domain is created following the same cycle again. This information can be used to hunt in our logs; any domain recently created is worth to investigate. Obviously this is not the silver bullet as it is possible that some specific EK are not using a recent created domain as landing page, or they are using an IP instead. Moreover, it might happen that some good domain has been created recently, which will generated false positives. But in many situations this approach will help to catch EK or malware using DGA. 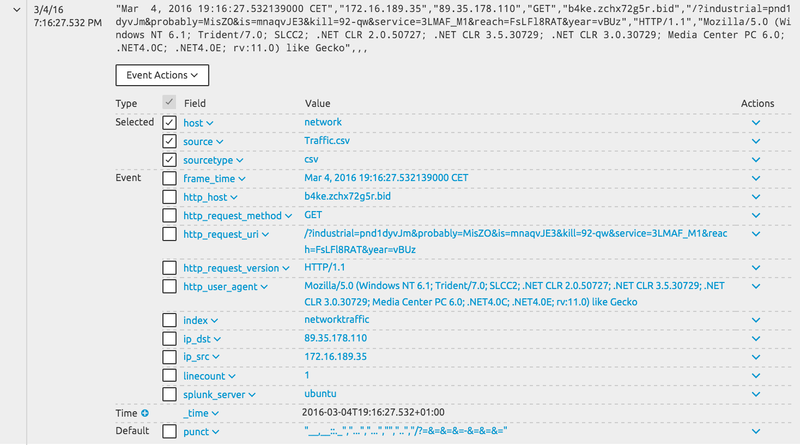 In the traffic I have included pcap from EK obtained from http://www.malware-traffic-analysis.net/2016/index.html. 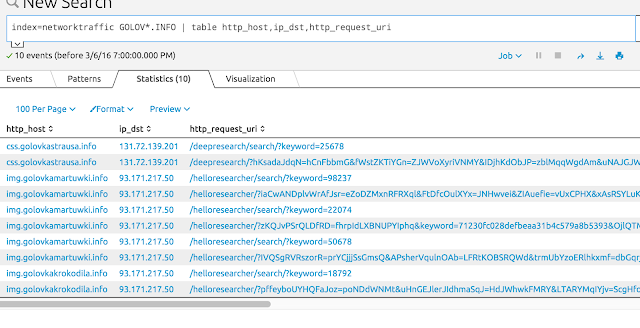 First thing to do is to search the HTTP requests in order to extract the domain of the URL request. Bare in mind that a URL can be composed of subdomain*.domain. The subdomain.domain of the URL is stored in a field named "http_host" as can be seen in the screenshot above, hence to extract only the 1st level domain, I can use 'sed'. 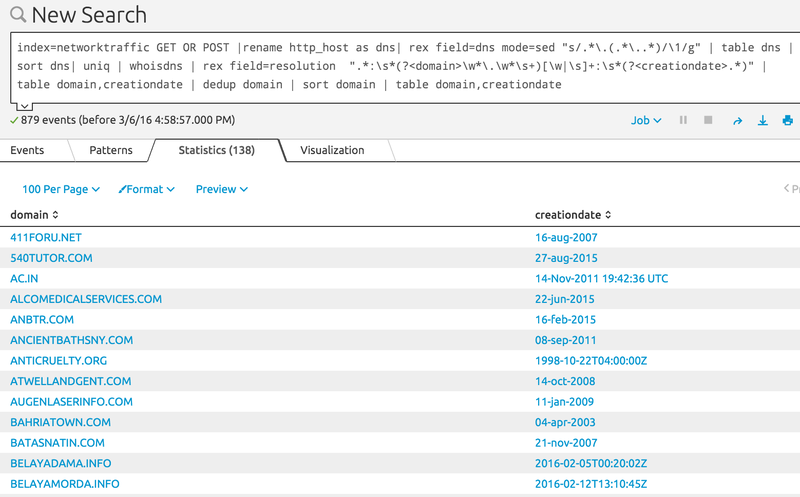 Also, I renamed the http_host field to dns. The output is a table with all the 1st level domains. The script must be located in /opt/splunk/etc/searchscripts/ with name whoisdns.py. The script I have created runs the 'whois' command in order to extract two main items: name of domain and the creation date of the domain. 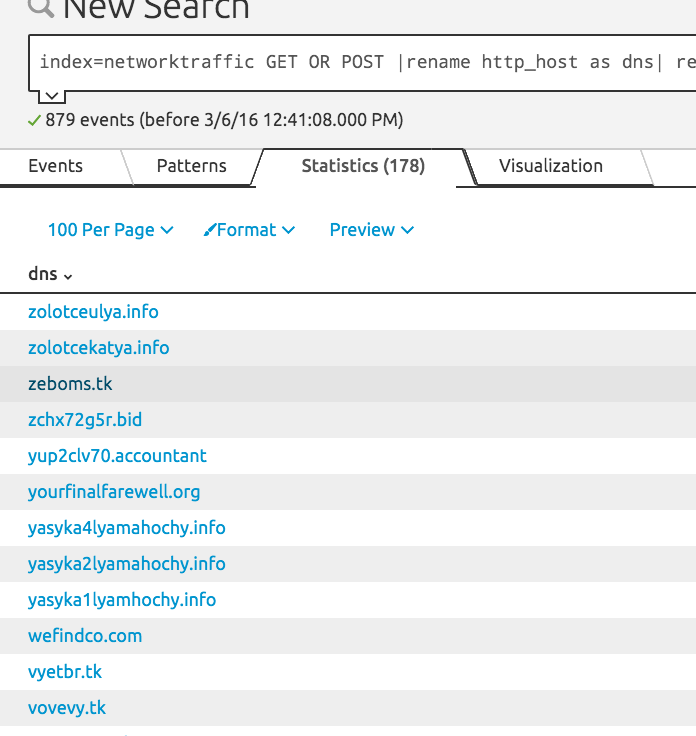 Now, I can pass all the first level domains obtained in the query executed previously to the whoisdns search command. In order to be able to use the data obtained in other searches, I keep all the data in a lookup table. Doing this, I can match any search against the data on this table. In the file "alldomains.csv" I have the full list of domains and the registration date. From the output, I see there are domains created a few days ago. Some of this domains have very similar name. 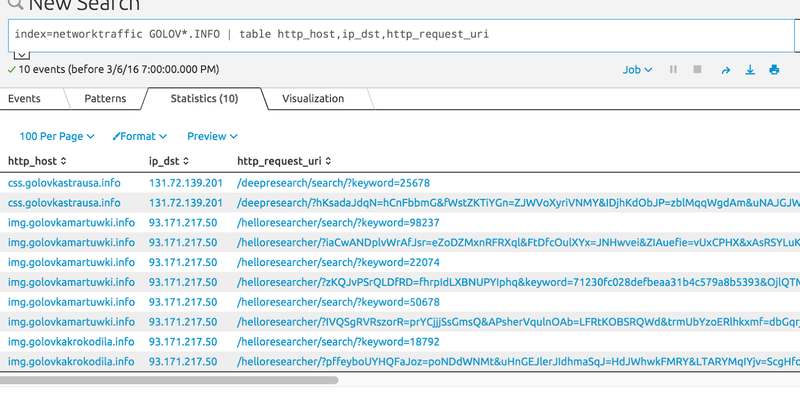 Once I have the list of suspicious domains, I can start checking the traffic generated towards those domains with Splunk.